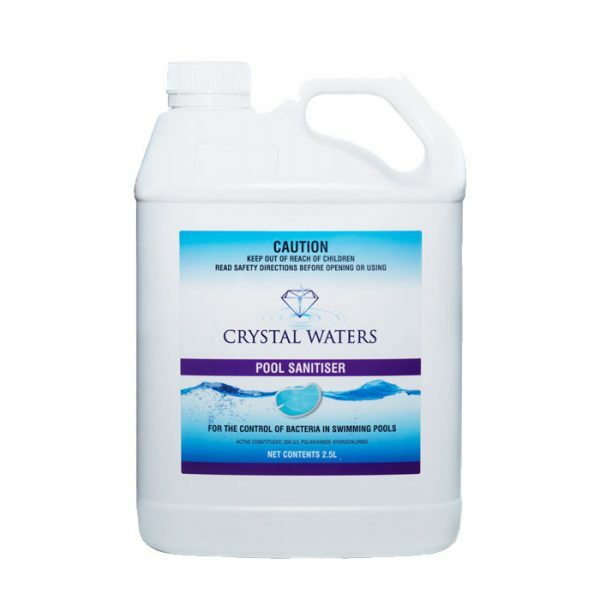 Crystal Waters Pool Sanitiser is the first part of a 3 part, swim spa sanitising system. It’s 100% chlorine free and is made from a hospital grade sanitiser, commonly used in bandages, contact lens cleaner and hand wash, and is approved and registered as a spa, swim spa, and pool sanitiser. 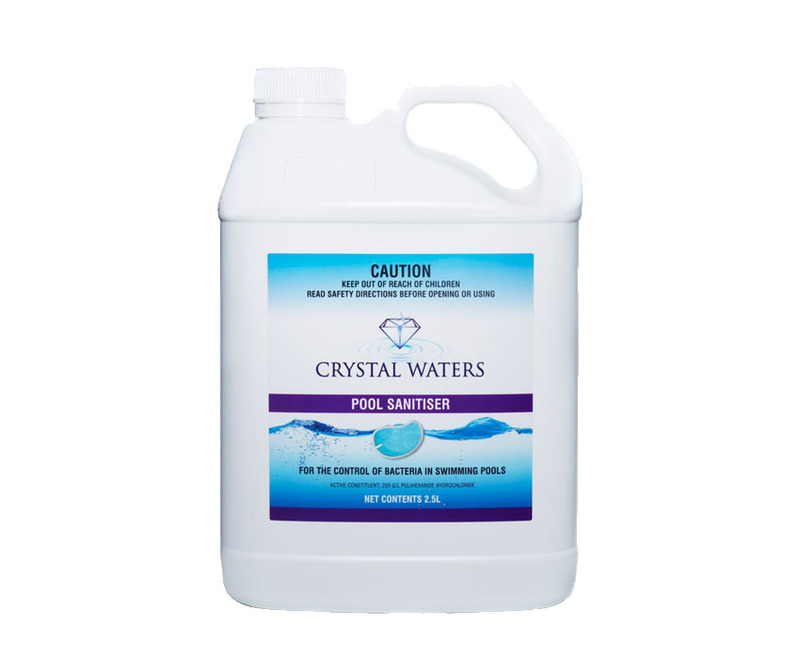 Crystal Waters Sanitisers are gentle on skin and eyes and non allergenic, and leaves the water feeling pure and soft for the whole family to enjoy!